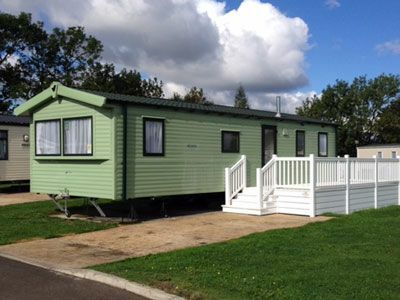 This luxury 2014 Willerby Vacation 35ft x 12ft holiday home sleeps six, double room and two twin rooms. The caravan has double glazing and all bedrooms have air plinth heating. Duvets and pillows and all bed linen are fully provided. The spacious living room has a TV with Freeview and DVD player. There is a well equipped stylish galley kitchen with a gas oven and hob, fridge freezer, microwave, kettle and toaster etc. There is a shower room with a wash basin, toilet and heated towel rail. Outside there is a large decking with table and chairs and also a picnic bench on the grassed area. Passes to the theme park need to be purchased separately from Flamingoland reception.